Police are searching for a man they say groped two women and shoplifted tobacco in Mountain View this week. A man groped two women and shoplifted tobacco in Mountain View this week, police reported. According to police, the first incident happened on Monday at about 9:30 a.m., when a 34-year-old woman was walking on the Stevens Creek Trail near Central Avenue and a man came up behind her and grabbed her. Police said he ran north on the trail, and is suspected of groping another woman Tuesday. He allegedly approached her around 5:15 p.m. on a yellow bike in the area of the trail under state Highway 85, grabbed her and then rode away. 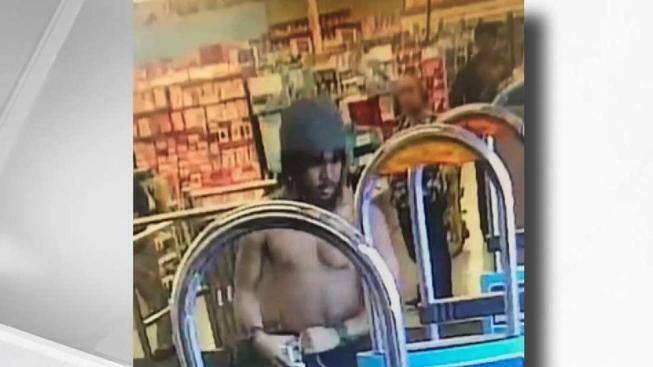 Police said the same man is suspected of stealing about $100 in tobacco products from Walgreens on E. El Camino Real. The suspect is a black man in his 20s, about 5 feet 6 inches tall, and was last seen wearing a hat, black pants and was shirtless during at least two of the reported incidents. Anyone with information is asked to contact Detective Marco Garcia at marco.garcia@mountainview.gov.